This month, the Concordia Greenhouse will be hosting tons of awesome events! For more information, please see below! Don’t forget that we are closed for reading week February 23rd – 27th and don`t miss our EPIC Seedling Sale coming up in May! 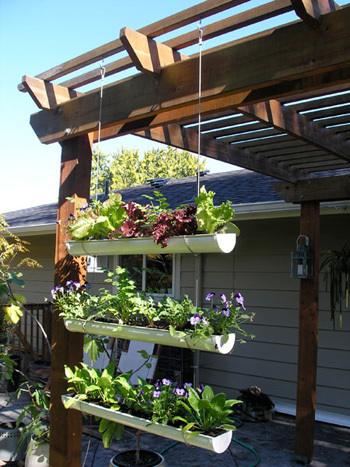 Ever wanted to make a vertical garden out of eaves troughs but couldn`t find any? We have a few dozen to give away! Come up to the Greenhouse this week and stop by the office. Make your own terrarium for friends and loved ones! $10 includes lesson and all supplies. Escape winter in our beautiful and lush rooftop greenhouse oasis! Warm up with tea, local musicians and a DJ spinning reggae and electroswing to get you moving. Myceliate around a 2 hours workshop to learn how to use low-tech cultivation techniques to upcycle numerous household wastes into an eternal superfood source! You will be informed about the DIY practices making it possible to start a mushroom culture from a grocery bought or wild collected mushroom. Propagation (multiplication) of a pure mycelial culture or mushroom growing kit will also be covered in words and in actions !